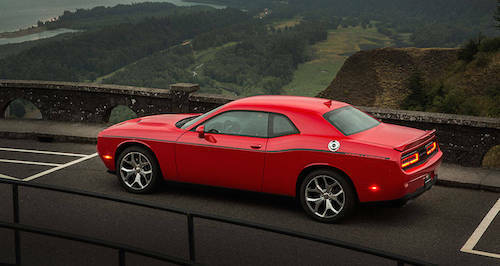 If you are looking for Dodge Dealers in Atlanta, GA stop by the Ed Voyles Dodge dealership, Atlanta area. We have a great collection of new Dodge Challenger, Charger, Durango, Grand Caravan and Journey models available for test drives now. Plenty of certified pre-owned Dodge models are in stock as well as many used cars, Used SUVs and used trucks from a variety of manufacturers. Our Dodge dealer special offers and factory incentives are usually available for extra savings on a new or used Dodge, Atlanta area. The Ed Voyles Dodge financing center is ready to help you buy or lease a new Dodge or finance a Used Car or Used Truck. Our state-of-the-art Dodge Service Center and genuine Dodge Parts departments are on premises for expert auto service and repair. Bring your Dodge in for oil changes, tune ups, wheel alignment, brake inspection or more extensive repair services. We offer frequent auto service specials and coupons will help you save money on quality auto service and repair. We invite you to stop by our Dodge dealership, Atlanta area where we will take great care of you and your Dodge.